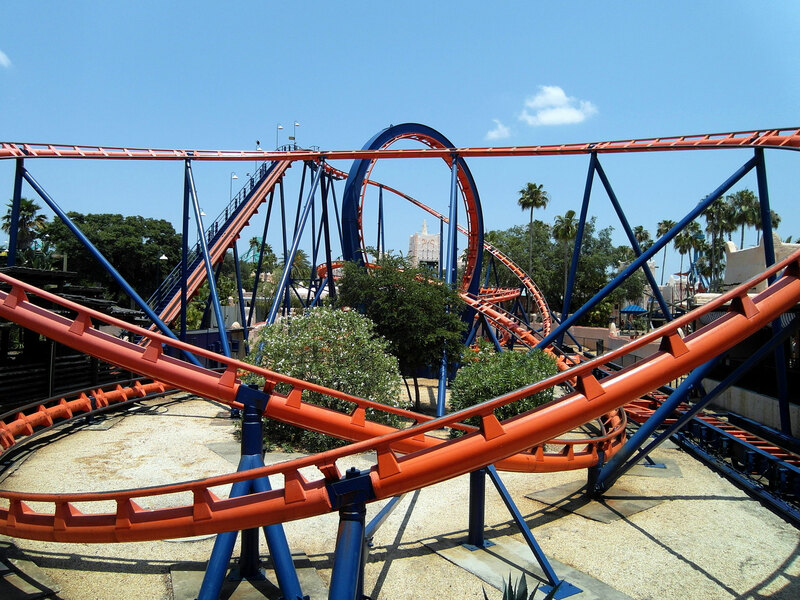 Bullet at Selva Mágica in Guadalajara, Mexico. 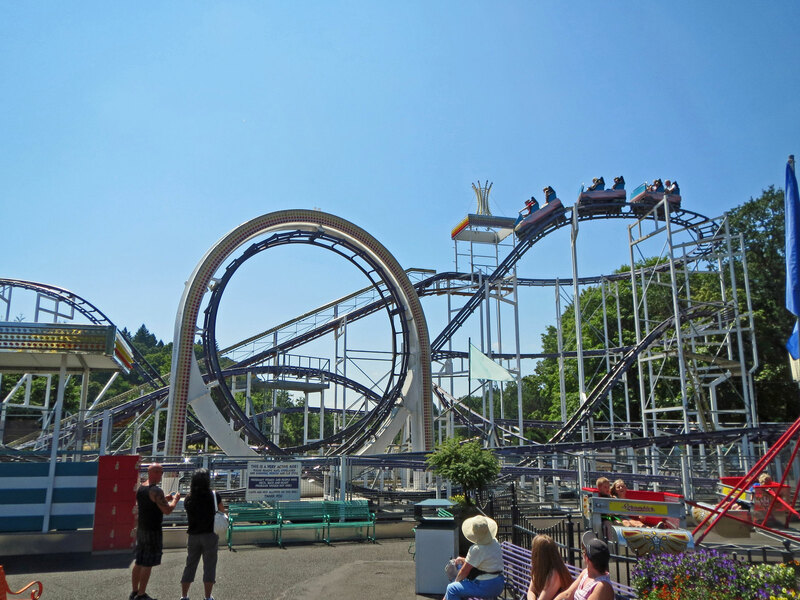 The first looping coasters appeared in the mid-late 19th Century. 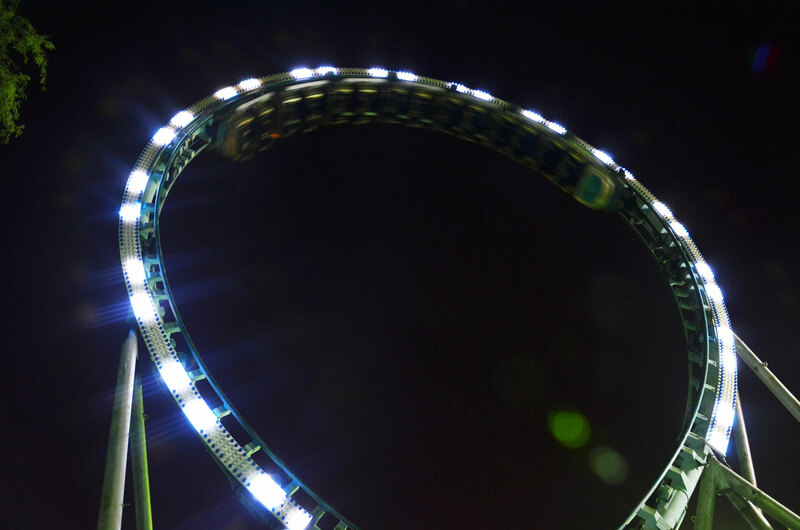 They proved hugely unsuccessful though, as the loops were circular in design. 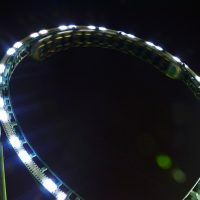 A circular loop requires the cars to take it very fast which has the effect of “snapping” as it roars around the loop. 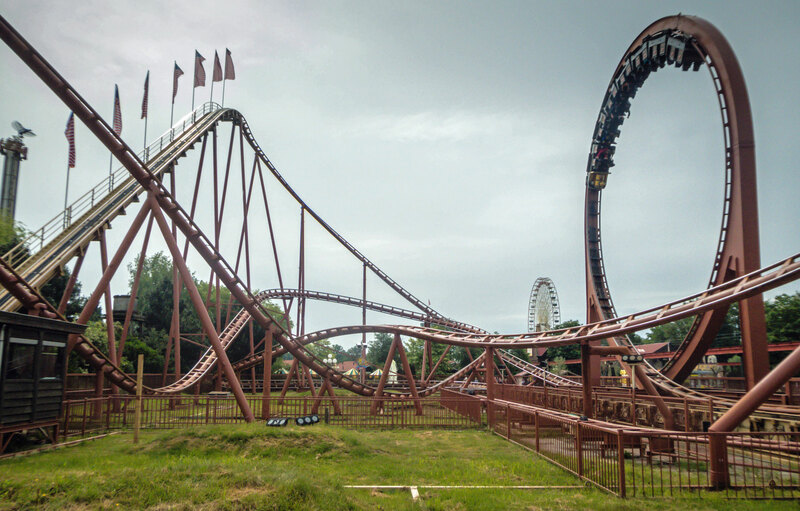 Riders found themselves coming off with very sore necks (at best) and the loop was deemed something of a failure. 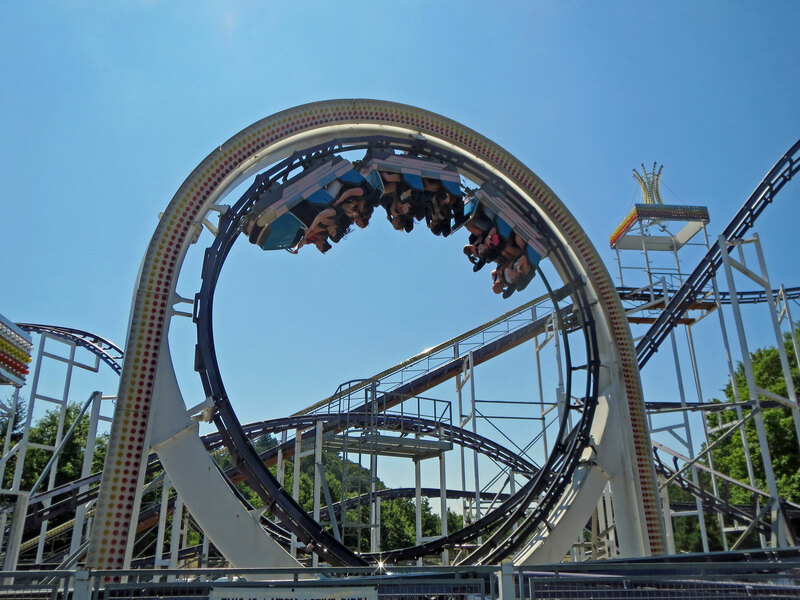 In the 1970’s, engineer Werner Stengel calculated the perfect angles for a loop. 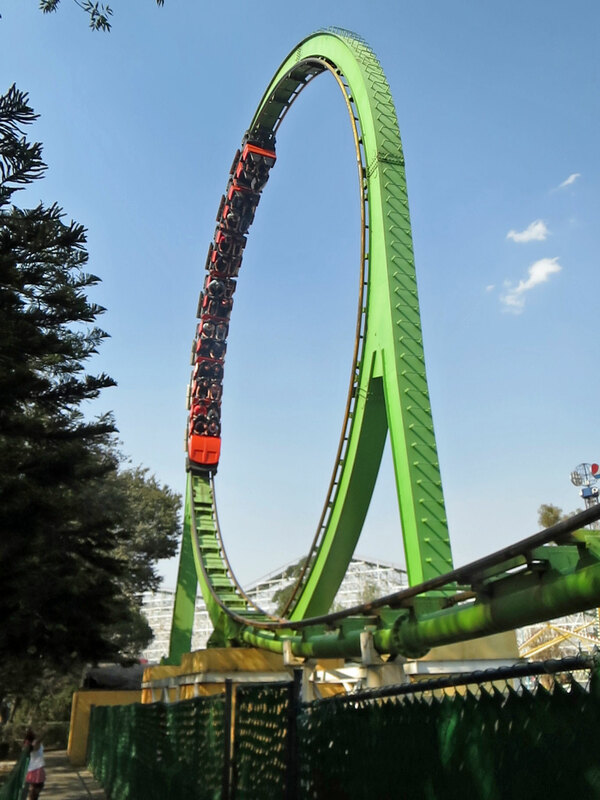 Stengel discovered that the trick to a safe vertical loop was a clothoid shape (“teardrop” shape). 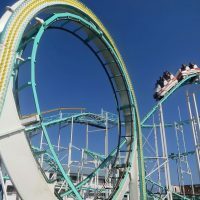 This shape places the tightest part of the loop at the top, allowing for a gradual entry to the loop, quick flip over, and a gradual exit. 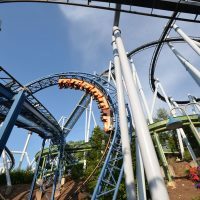 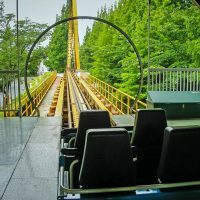 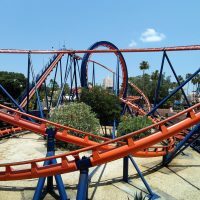 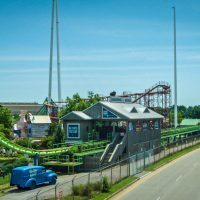 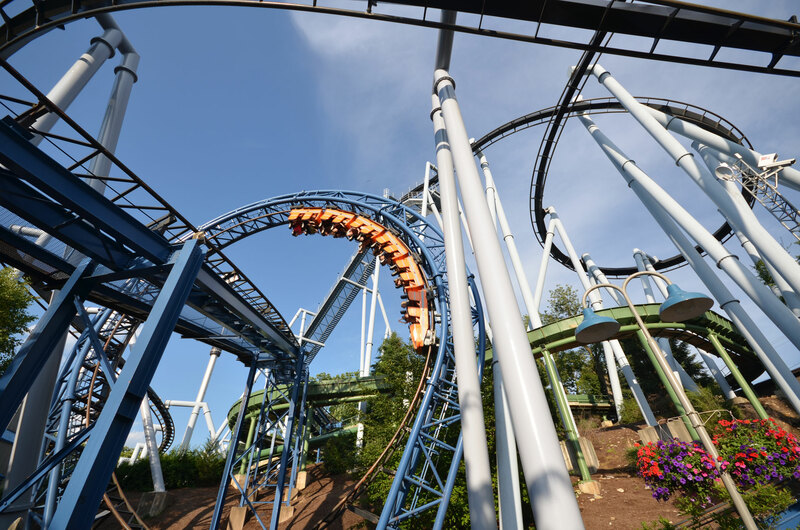 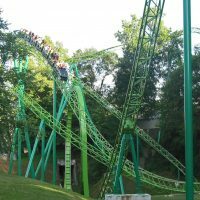 It also greatly reduced the speed necessary to complete the loop, and thus minimized forces that had previously caused looping coasters problems. 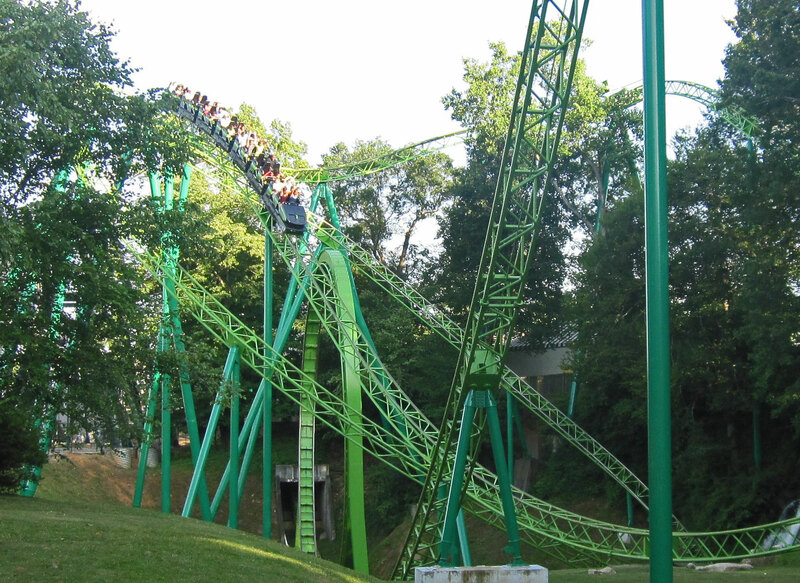 This proved to be a “revolution” in the history of roller coaster design that is still implemented to this day. 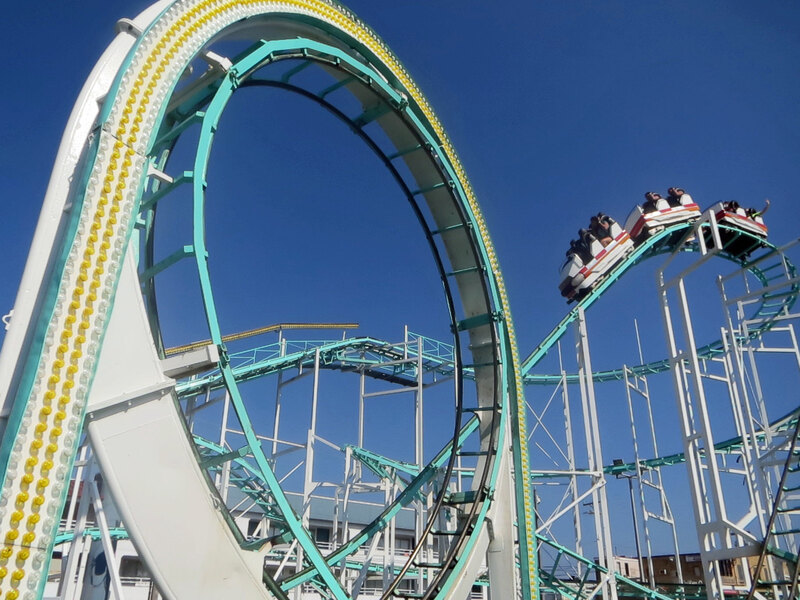 For our purposes here, a “traditional” looping coaster is one which bases the focus of the ride on vertical loops. 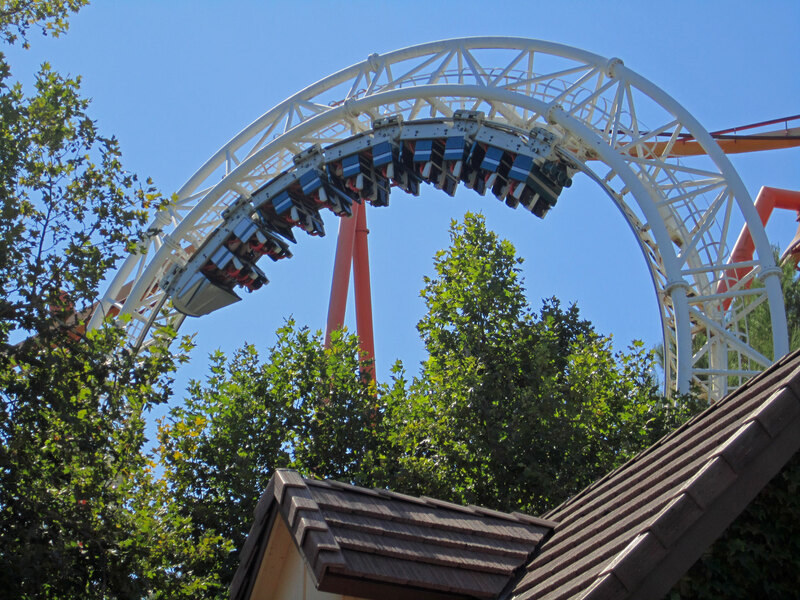 Revolution at Six Flags Magic Mountain in California, USA. 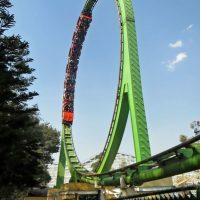 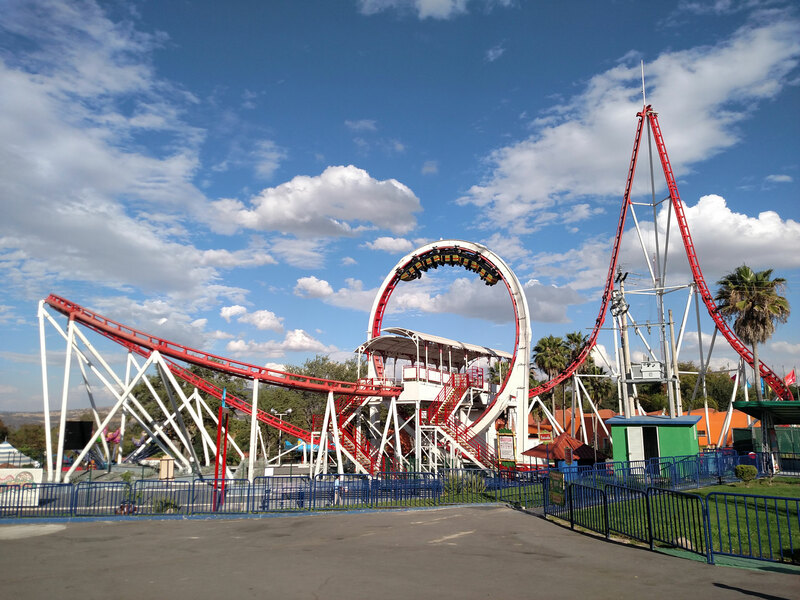 The looping coaster Revolution at Six Flags Magic Mountain in California, USA, was the first successful looping coaster, and the first steel looping coaster. 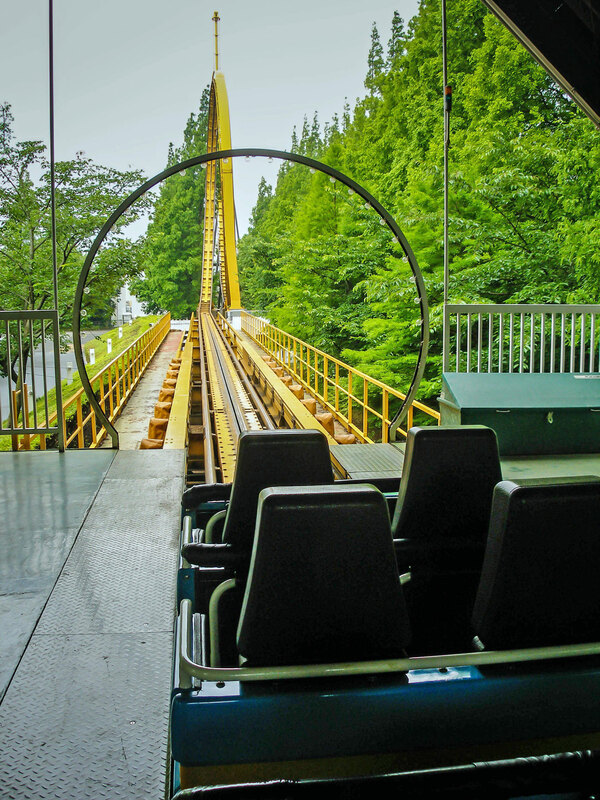 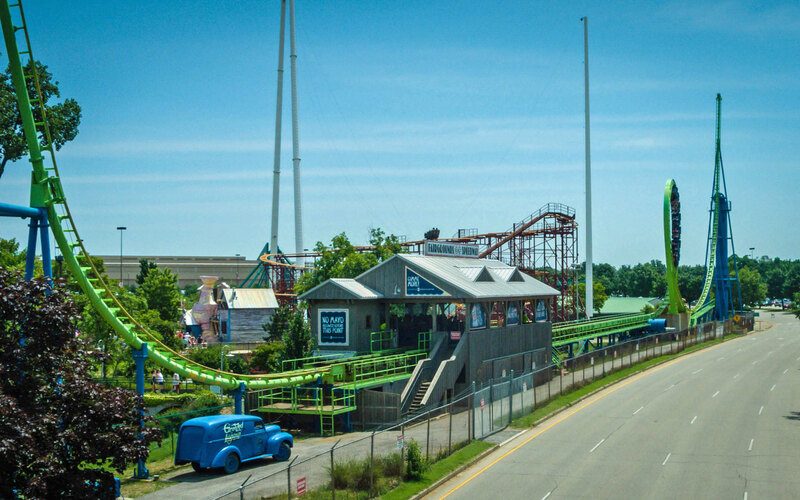 Opened in 1976, the ride paved the way for all modern inverting coasters. 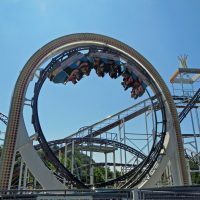 For Schwarzkopf, the loop was the centerpiece to modern coasters and the company made a multitude of exciting and intense coasters revolving around multitudes of loops. 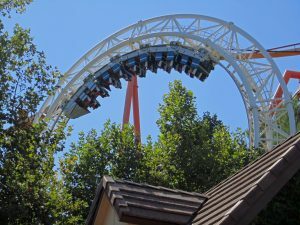 Looping Thunder at Oaks Amusement Park in Oregon, USA. 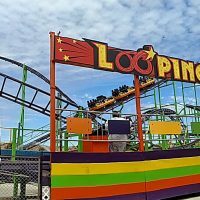 Pinfari‘s looping coasters include a selection of small coasters featuring a single vertical loop, designed to be transportable and compact. Pinfari’s first attempts seem to be around 1982 when their prototype looping model was sold to a Swiss showman. 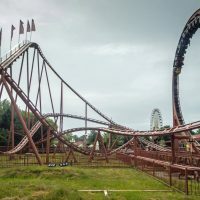 Prefixed with the letters “ZL” (Zyklon Looping) or “TL” (The Loop) you can distinguish if a Pinfari coaster is a looping model or not.